Australian birds are just as unique as its animals. There are many species found nowhere else in the world, and most are not in the Northern Hemisphere. The two largest and some of the most amazing of all of our birds are ratities. Emu is the country's national emblem and a very common one to see in the outback. Cassowary has a similar body shape but is black, with a blue head and red neck wattle, and a helmet on its head. It is less common to see than emu, as it lives in tropical rainforests of north Queensland. Both are flightless. Megapodes are also called mound builders because they build large mounds as their nests. They incluse orange footed scrubfowls and Australian brush turkeys, which, like cassowary - live in tropical rainforests. Quails, fowls and pheasants are also ground birds (flightless to bad fliers). Fowls are mostly introduced or feral and include red junglefowl, helmeted guineafowl, Indian peafowl (peacock), and wild turkey. And another flightless one - in southern Australia we have five species of penguins: King, royal, fiordland, rockhopper and little penuin. The last one is the most common, a great place to see it is Phillip Island in Victoria. This is another group that likes the cool, southern Australian waters. Albatrosses can be huge, with a wing span up to 3.5 metres and we have nine species. Petrels and shearwaters are a little smaller, and there are 29 species of the first and nine of the second. Australian pelican is a beautiful bird, a large one to fly, with a wing span of almost two metres. There is only one species and it is a marine bird that has also moved into fresh water and covers the whole continent except some dry areas in the inland Western Australia. We have two species of gannets and they live on the southern, cooler waters. The three species of boobies, two species of frigatebirds, and two species of tropicbirds all live on the northern, warmer waters. There is one species of darters and five species or cormorants, and all live on the coasts (not on the open water) and inland, most covering the whole continent except some dry areas in the inland Western Australia. Grebes are also water birds, but fresh water so they do not live on the coast, and there are three species of them in Australia. Another thing Europeans find 'the opposite' in Australia - our swans are black. There are some very rare ones, supposed;y not more than 40, white ones in south western WA. We have wild geese - Cape Barren geese in southern Australia, and pygmy and magpie geese, both live in northern Australia. And we have at least 11 species of ducks, as well as some teals and mallards. These are ground birds that like to live in ponds, including man made ones in city parks. 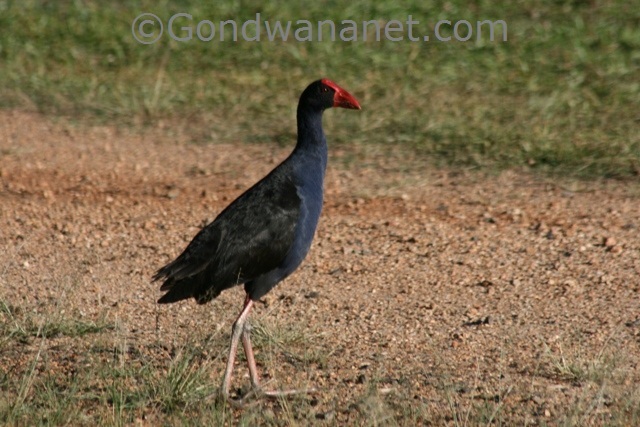 We have the purple swamphen, dusky moorhen, Eurasian coot, three species of rails, five species of crakes and a few native-hens and bush-hens. We have six species of herons, five species of egrets and three species of bitterns. All live on the land but near water bodies. We have glossy, straw-necked and Australian white ibis, and yellow billed and royal spoonbill. All are waders and eat small animals in shallow water. We have an impressive stork - jabiru, that lives in wetlands in northern Australia. And we have the impressive brolgas and sarus cranes, that live on grasslands. Other grassland birds are Australian bustards and plains wanderers. Then we have the group of long legged and billed waders many of which are migratory. They include curlews, sandpipers, whimbrels, turnstones, redshanks, greenshanks, tattlers, knots, snipes, godwits, dowitchers, ruffs, stints, pratincoles, pharalopes and sanderlings. Bush stone curlews are different and live independently from the water. Lotusbirds are waders with thin but very large feet to be able to run on the plants floating on the water surface. They are found in semi coastal northern and eastern Australia. We have two species of oystercatchers - pied and sooty - and they live on the shore. Both have bright red bills and legs. We have two species of lapwings - masked and banded. We have nine species of plovers, three dotterels, two stilts, three jaegers and an avocet. We have three species of noddies, three species of gulls, 16 species of terns and one species of ternlets. 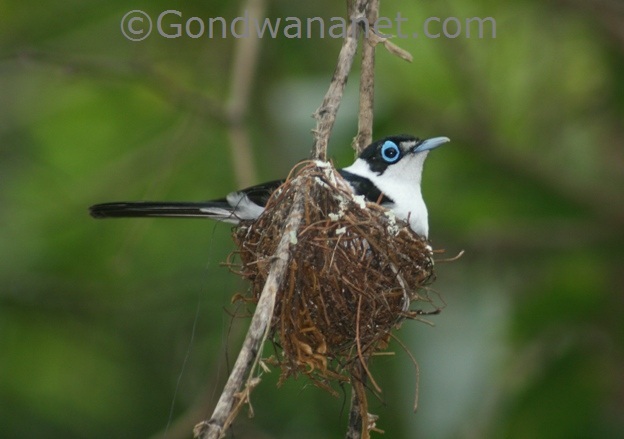 Many are ocean birds, noddies tend to live on coral islands. Our birds of prey include six species of kites, four species of hawks, four falcons, two harriers, one kestrel, one hobby, one osprey, one buzzard, one baza, and three eagles: little eagle, white bellied sea eagle, and wedge tailed eagle - the largest of them all. Apart from the European pest - rock pigeon - we have 11 species of beautiful doves and 10 species of beautiful pigeons living their natural life in the nature and not being pests at all. We have many beautifully colourful and noisy parrots. They can be divided into groups like long tailed (25 species - including cockatiels, budgerigars and all rosellas), broad tailed (five species - king parrot, regent, superb, red winged, and princess Alexandra parrot), fig parrots (one species - double eyed fig parrot), lorikeets (seven species) and old tropical parrots (two species - red cheeked and eclectus parrot). Lorikeets include little, purple crowned, musk, varied, scaly breasted, red collared and rainbow lorikeets - the latter very common everywhere. Cockatoos are closely related to parrots, and as opposed to the true parrots, they are only found in Australiasia (not in South America or Africa). They are not quite as colourful, but they are just as smart and playful as true parrots are. We have one species of galahs, three species of corellas, and nine species of cockatoos. 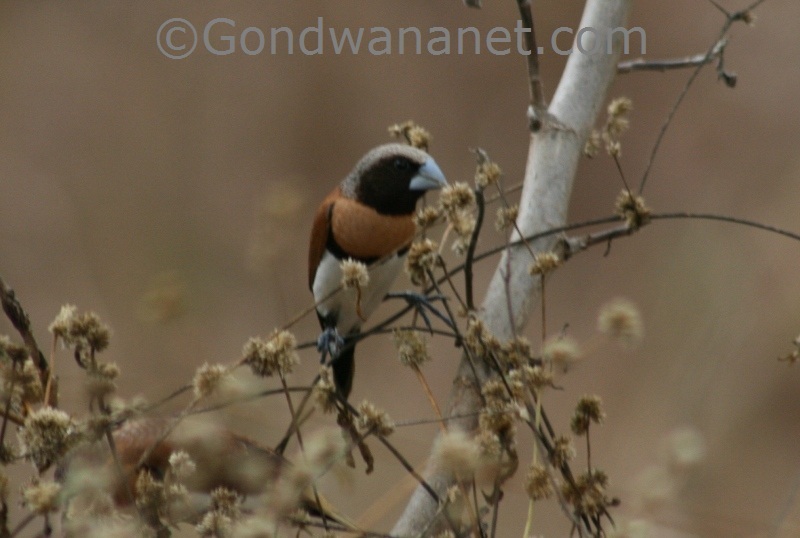 We have 11 species of cuckoos, and one coucal - the pheasant coucal. We have one boobook, eight species of owls, three species of frogmouths, and four species of nightjars. 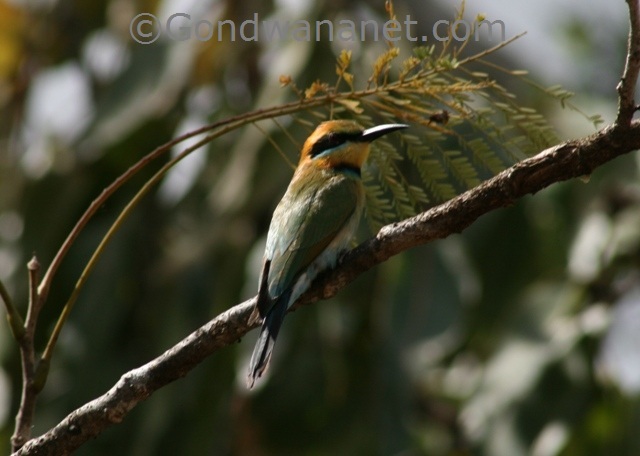 Kookaburras are our largest kingfishers. We have two species of them, plus eight species of larger kingfishers. We have rainbow bee eaters, dollarbirds, and three species of pittas: rainbow, noisy and red bellied. We have two species of lyrebirds - Superb Lyrebird in New South Wales, Victoria and Tasmania, and Albert's Lyrebird in a pocket in south eastern Queensland, near Brisbane. We have nine species of fairy wrens, three species of emu wrens, four species of scrub wrens, one fern wren, three field wrens, two heath wrens, and eight species of grass wrens. We have four species of pardalotes, three species of bristlebirds, a pilotbird, eight species of gerygones, three species of whiteface, and 12 species of thornbills. This is a large group of birds in Australia, and it includes 54 species of honeyeaters, four species of wattlebirds, four species of miners and four species of friarbirds (the latter three are in fact also honeyeaters). We have 17 species of robins, seven species of flycatchers, eight species of whistlers, four species of fantails, six species of monarchs, one magpie lark and one drongo. We have 13 species of finches, five species of mannikins, four species of firetails, two species of martins, four species of swallows. We have one species of sunbirds, four species of wagtails, two species of white eye, one silvereye, one bulbul, and two thrushes. We have one species of figbird and two orioles. We have eight species of bowerbirds, three riflebirds, one catbird, one cicadabird, one manucode, three cuckoo shrikes, two trillers, and six species of woodswallow. We have five species of butcherbirds and one species of magpie. We have three species of currawongs, two species of crow, and three ravens. We have two species of songlarks, one skylark, one bushlarks, two sparrows, two starlings and one myna (the common, or Indian myna).